A barely deserved victory for Italy was reflected by the scoreline, and they will be relieved to have overcome a tough test in Leeds. Canada acquitted themselves incredibly well, and but for some hasty handling errors, they could have pulled off an upset here. Italy claimed their first win of the tournament to keep their slim hopes of qualifying for the knockout phase alive. The Azzurri are the only tier one side to have never escaped from their Pool, but four points here has at least given them a chance. At no stage did they look like registering the bonus point, as the result itself was in the balance for the entire 80 minutes. An entertaining if scrappy clash provided Elland Road with a to-and-fro scoreline and Canada had several opportunities to add to their try tally. The Canucks may well be kicking themselves for not making the most of their chances, but Italy will be mightily relieved that they managed to win ugly. Canada had the lion’s share of territory and possession in the opening seven minutes of play, but Italy did well to work their way past the halfway line and win a penalty in a promising position. However, Italy had a hairy moment when Edoardo Gori was spotted stamping on a Canadian player’s arm whilst on the floor. Fortunately the sanction was not too harsh, and the penalty was reversed. A teasing punt forward from Connor Braid almost paid off for Canada, but for Azzurri full-back Luke Mclean saving their blushes. The Canucks continued to apply the pressure and found themselves in a good try scoring opportunity. Nathan Hirayama’s loose pass allowed the chance to go begging. But the Number 10 made amends from the tee on 15 minutes. Canadian pressure finally told just seconds later. A breakaway team move was brilliantly finished off by Van Der Merwe, and the fly-half added the extras to make it 10-0. Gori then redeemed himself, as the scrum-half spotted a gap to charge to within metres of Canada’s try line. After being brought down, prop Michelle Rizzo picked up the loose ball to register an immediate response. Tommaso Allan converted it to reduce the arrears to just three points, with the game hotting up at7-10. 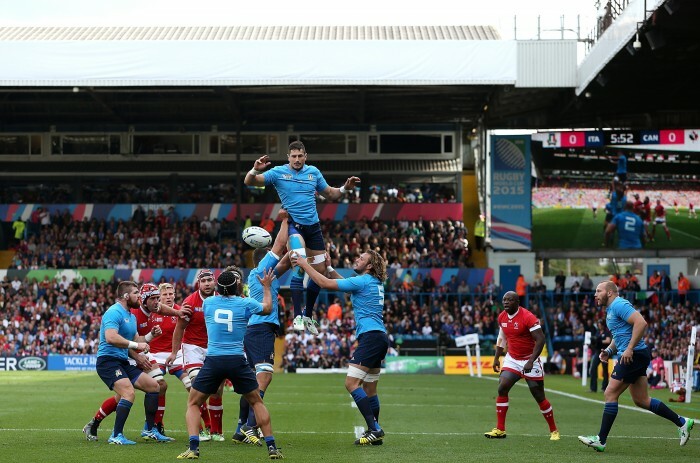 Italy then looked to get back on terms and they looked to execute their trademark rolling maul over the try line, off the back of an attacking lineout. Canada did well to turn the ball over, but a poor clearance kick gave the ball straight back. Dogged Canadian defence resisted what looked to be a certain try for Italy,as the Canucks closed down two gaps and looked to be the more physically powerful side. 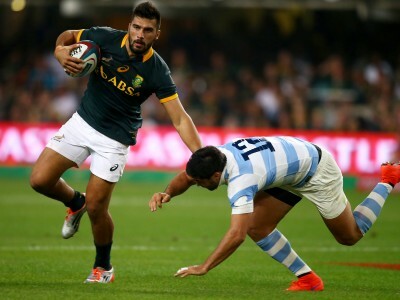 The try continued to elude Italy, so they settled for three points from their spell in the opposition’s 22. Tomasso Allen left the field to be assessed for a head injury, with Carlo Canna stepping on in his place. An awful attempt to take the lead from Hirayama close the half-way line kept parity on 30 minutes, with Italy once again giving away far too many penalties. A surging run from Lorenzo Cittadini looked threatening and it took several men in red to bring him down, with Canada once again turning over possession. With just two and a half minutes of the half to play, Canna had a chance to put Italy in the lead for the first time in the game, but the replacement number 10 dragged his kick wide. The replacement 10 then thought that he had scored Italy’s second try, but he was forced into touch just as he stretched to ground the ball. Allen then returned for the final minute of action to push them in front from the tee. Just four minutes into the second half, quick hands from Canada freed Matt Evans, who backed himself with is speed and strength to dive down in the corner. 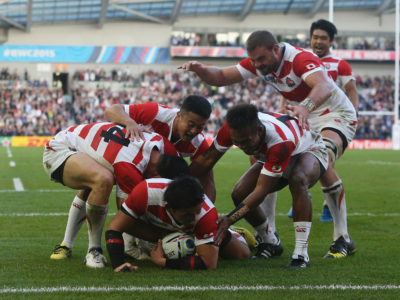 Hirayama failed to add two more points but Canada though that they had scored two tries in as many minutes. The TMO correctly adjudged that the final pass had been forward, and the gap remained two. Martin Castrogiovanni and Matias Aguero then both came on to try and make amends for a poor showing in the front row against France, and sure up a shaky looking scrum in this match. Every time Canada broke forward they looked dangerous, and Italy had to swarm around runners in numbers to nullify the threat. 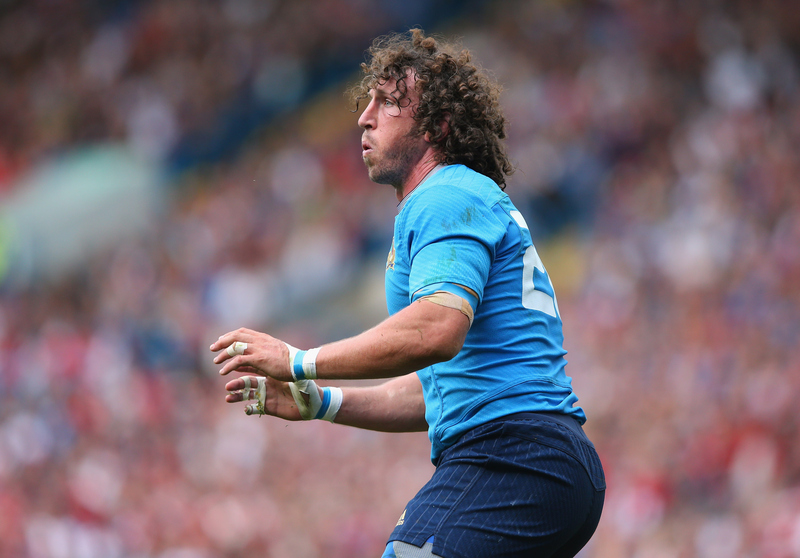 History was made on 57 minutes, when Mauro Bergamasco stepped on to the field to appear in a record equalling fifth Rugby World Cup. His presence certainly seemed to galvanize his team mates, as minutes later the Azzurri scored a second try from their first meaningful attack of the half, through centre Gonzalo Garcia. Italy reclaimed the lead through that converted try, but had more defending to do as Canada looked for an immediate response. Allen looked to edge the Six Nations side further ahead but he miscued a drop goal attempt horribly wide of the mark. Yet another great chance for Canada went begging, as they failed to make the most of an overlap, with Italy possibly getting away with knocking the ball out of hand, but the referee did not investigate. Lack of clinical finishing from Canada meant that they came away from a prolonged visit to Italy’s 22 with just three more points. A scrappy final 10 minutes went the way of the Italians, who managed to exert a modicum of control to close out the game for the narrowest of victories. Italy now have little over a week to prepare for a winner takes all clash with Ireland at the Olympic Park in East London. While Italy failed to get on par with Ireland in the table in terms of points, should they beat the Six Nations Champions, it would matter little should they go on to beat Romania as well. The Azzurri will be praying that Sergio Parisse is fit to feature in that match, as they simply cannot afford to play as poorly as they did today against the Irish. 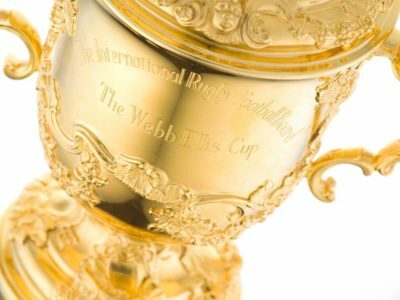 Canada performed admirably once again and were unlucky to not come away with the win. The Canucks at least earned a losing bonus point to get them off the mark, but they will do well to trouble a strong looking French side. Italy made an incredible 142 tackles during the game, which highlights the fact that they were on the back foot for much of it. No man made more than Francesco Minto, with the back rower completing 15 takedowns in a hotly contested encounter. Minto had a remarkable tackle success rate of 97% and was key to halting several dangerous Canadian attacks.